Museums display, collect, preserve, and interpret art, cultural, and scientific artifacts. They offer multiple opportunities for learning…lectures, exhibitions, film screenings, hands-on experiences, and online portals. How can we engage museums as a community resource and open access to everyone? Explore local museums while we study the history of museums in the United States and their impact on our lives. In this workshop we will investigate Art Based Research (ABR) while building three different types of handmade books. We will be experimenting with a myriad of materials including acrylic paint, liquid watercolors, collage, and printmaking, while exploring a variety of mark making techniques. We will unpack ABR and apply artful thinking strategies to the topics generated, layering these ideas within the pages of our book making projects. This workshop is designed to engage the artist and non-artist alike; all are welcome to participate. 6 hours of elective credit for the Integrated Learning Specialist Program (ILSP) certification can be earned once a short homework assignment is submitted to the instructors. Description: Have you been attending to the writing of students you teach, not finding room to write yourself? Have you been storing up ideas all year for your own writing? And when you do have a moment to write and reflect, could your writer’s mind use a jumpstart? Have a book, a play, a blog in mind for yourself? Room to Write might be the answer. A week-long writing workshop for and with other teachers. Your chance to reflect and write about things you have been wanting to get out and onto the page. An opportunity to play with words, images, ideas. Inspiration from a range of prompts and your fellow writers. Join this writing and response workshop held on the UC Berkeley campus and make the room to write in your life. Description: This course takes a practical approach to grammar instruction, focusing on methods that work best to improve student writing. We will look at exciting ways to advance students’ “sentence power” but also to improve their sentence correctness. It assumes that the best approaches to grammar instruction tend to be ones that closely match what effective writers do when they compose and correct sentences. It also assumes that students learn best through constructivist classroom practices such as inquiry, collaboration, focused practice, and modeling, integrated within a purposeful curriculum. We will inquire into the why, what, how, and when of grammar instruction, building a logical and adaptable framework for planning and sequencing, and developing principles that will help teachers make informed choices for their students and their curricular goals. We will examine a variety of activities, scaffolds (deductive and inductive), and tasks to best serve students, including English language learners. Sessions will focus on language variety, and code-switching; sentence rhetoric and style; issues of correctness (learning how to diagnose, prioritize and respond to error); and planning within and between lessons—with a particular eye to being both systematic and contextual in our designs. Description: Now more than ever teachers need to design writing prompts that aim to elevate civic discourse. In this session, participants will experience project-based, student-centered methods that promote critical questioning and bring the researched argument to life – especially for Long-Term English Learners. Each practice is designed to spark lively student-to-student discussion about complex text. Ultimately, these discussions serve as bridges to authentic argumentative writing. By emphasizing the reading, writing, speaking connection, project-based methods honor the diverse linguistic assets our students possess and encourage them to advocate for changes needed in their communities. Texts used during the workshop will focus on the theme of restorative justice, but materials are easily adaptable to other themes. The session is ideal for humanities and English courses taught at the secondary or college level. Classroom teachers, inclusion educators & teaching artists have all be drawn to the Language of Dance to excite movement creativity and extend UDL skills & dance understanding through symbols. Spend a week dancing, learning about the Movement Alphabet, and discovering how the Language of Dance can support your teaching! Create, perform, respond, and connect with the Language of Dance to develop dance literacy. Explore the Movement Alphabet and integrate Motif symbols into dance experiences to connect physical, cognitive, socio-emotional and aesthetic learning. Deepen your dancing. Transform your creative and teaching practices. Those who successfully complete all course requirements receive the Language of Dance® Foundations— Part 2 Certificate. Taught by Tina Curran, co-founder of the Language of Dance Center. No prerequisite. Description: Do you want want to deepen your understanding of equity in a supportive environment? Are you ready to strengthen your cadre of colleagues who not only understand foundational concepts of equity but also feel empowered to interrupt inequity as it arises in their own classrooms and around campus? Join us for a workshop that focuses on building equity inquiry groups among colleagues so that your choir can sing more harmoniously. Participants will engage in writing and relationship-building activities that serve as the foundation for sustaining this vital work. The presenters will share a framework that they have used to amplify an advanced awareness of equity across campus. By the end of the three-day session, participants will walk away with resources and an initial plan to take responsibility for interrupting inequity on their own campus community. The workshop is appropriate for K-College instructors. Description: We all want our students to write more and to greater effect, but how do we make this happen? How do we build memorable and meaningful writing lessons that generate thoughtful content and address the needs of both our strongest student writers and our most struggling student writers? What are strategies for helping English Learners and for building students' skills that meet the new Common Core Standards? What about cultivating academic language in the classroom? And how do we do all of this without drowning in paper? In short, how do energize or re-energize ourselves as teachers of writing so that we can engage students in the power of the written word? Join this class led by veteran educator, M. Clare LePell where she’ll address these questions and more. Description: In this workshop we will explore research based routines, structures, and strategies for building a robust writing program for young writers. Strategies include writing to build community, writing as sense making, writing in academic forms, and writing for self expression and reflection. We will consider issues of equity as well as incorporate aspects of social and emotional learning standards throughout each session. Teachers will have time to plan and support one another by sharing personal expertise and experiences. Now in its nineteenth year, Luna Dance's Summer Institute brings together six dance artists and six classroom teachers/practitioners to activate and inspire individual and collective imaginations. Participants will work together to create, expand or improve comprehensive dance education programs. Join us for a lively week of learning this July 15-20, followed by a year of coaching, workshops and collegial support. Applications due April 12, 2019. Cost: $25 application fee. No cost for selected applicants. Description: Argument is everywhere! Whether speaking and writing on-demand in school and on the job, or composing a text for publication in magazines or blogs, the ability to construct evidence based, nuanced claims and acknowledge the strengths and limits of multiple perspectives is crucial. The National Writing Project's College, Career and Community Writing Project Program (C3WP) provides an entry point into the teaching strategies that can support the growth of argumentative thinking, discourse, and writing. In these four half-day sessions, we will explore NWP's College, Career and Community Writing Project Program, practice argument, and develop an approach to teaching argument in our classrooms. You will be able to implement this program immediately in the 2019-2020 school year! Are you a dance artist ready to launch into teaching for the first time, or a classroom teacher excited to share the joy of dance with your students? Have you been teaching for a while but desire a refreshing & grounding new perspective? Luna's popular Developing & Implementing Dance Curricula - A (DIDC-A) course is the first level of our foundations series and offers a comprehensive overview of the fundamentals of dance teaching. Learn the elements of dance, human development theory, how to integrate dance across subject matter, how to design dance lessons aligned with Common Core standards, and more, all while exploring your inner dancer. Combining movement, theory, practice teaching & reflection, this interactive week-long intensive cultivates a supportive community of fellow artist educators amongst participants. Join us for a week of mornings writing, sharing, reflecting, reading, and revising. Become a better writer and a better teacher of writing. This workshop offers rich opportunities for teachers at all grade levels and any writing experience level to explore a range of writing genres and practical, classroom-tested writing strategies. The workshop fosters a warm and encouraging community of writers where participants read inspiring models, collaborate in small groups and collect ideas and materials for teaching. This year we’ll feature strategies for information and argument writing, reflected in the Common Core Standards. This class sits solidly on the Bay Area Writing Project’s belief that teachers become better teachers of writing by writing themselves. Participants contribute to an in-class anthology. : Join us for a week of mornings writing, sharing, reflecting, reading, and revising. Become a better writer and a better teacher of writing. This workshop offers rich opportunities for teachers at all grade levels and any writing experience level to explore a range of writing genres and practical, classroom-tested writing strategies. The workshop fosters a warm and encouraging community of writers where participants read inspiring models, collaborate in small groups and collect ideas and materials for teaching. This year we’ll feature strategies for information and argument writing, reflected in the Common Core Standards. This class sits solidly on the Bay Area Writing Project’s belief that teachers become better teachers of writing by writing themselves. Participants contribute to an in-class anthology. Description: This 4-day intensive shares Luna Dance Institute’s relationship-based approach to teaching Family Dance, developed through our Moving Parents & Children Together (MPACT) and Studio Lab programs. We’ll present movement activities and lessons that support adults and children in engaging with each other in long-lasting ways, backed by research, theory, and evidence from practice. Family Dance Institute content includes: attachment, play & development theories; neuroscience & early movement patterns; creating dance curriculum to build trust & connection; learning to engage multi-generations in dance play; teaching in different settings; and more! Experience the power of dance to strengthen relationships and enhance empathy. For dance teaching artists, classroom & early childhood educators, therapists, family service advocates, early interventionists, social workers, and parents. No dance experience required. Description: As teachers we are asked to investigate and assess the learning happening in our classrooms. Learn to do this in creative ways that will inspire both you and your students. This 2-part workshop is for classroom teachers & teaching artists of all disciplines. Workshops can also be taken separately. No prerequisite. Educators and artists can be creative researchers, applying experimentation, observation, and reflection in the studio and classroom. Learn to hone these skills and design inquiry projects that are exciting to you, spark your curiosity, and improve your practice. Learn to design creative and effective assessments that support student learning, inform your teaching, and communicate dance learning to stakeholders. Discover ways to integrate observation and reflection throughout your syllabus so that evaluation is not an afterthought, but an exciting opportunity to celebrate student growth. In this hands-on workshop participants will be introduced to three effective self-care strategies they can practice at home and in the workplace. Art Making, Mindfulness, and Gratitude for What Is. We will make arts-based journals, learn mindfulness strategies, and envision personal and professional goals/dreams. Join in for this inspiring, collaborative, creative, and restorative day. Michelle Holdt has been teaching this dynamic workshop all around the Bay Area and across the US and is currently writing a book about it as well. The class itself has been very well received. CULTURAL ACTIVISM IN THE CLASSROOM is a 6-week (50 hour) course designed for Middle and High School Teachers in all subjects. Our objective is to help you increase your students’ capacities as learners and leaders through collaborations with artists and organizers in your community. The curriculum is based upon Beginner’s Guide to Community-Based Arts 2nd Edition by Keith Knight and Mathew Schwarzman, and adaptable for Common Core Curricula in English/Language Arts, Science, Math, Social Studies, History and Health. Other texts include The Teacher as Cultural Worker by Paolo Freire and Learning On Display by Linda D’Acquisto. Each week, you will engage in a personalized series of learning activities that include reading, watching videos, blogging, live discussions and experimentation with course content in your classroom. The first week, you learn what it means to “Find the Heartbeat of Your Community;” try out a related learning activity called a “Cultural Inventory” with yourself and then your students; and then share your experiences with your cohort in writing and in real time discussion. Except for one hour of live conferencing each week (Tuesdays from 6-7 p.m. Central Time) you move through the course on your own schedule. Each program cohort is small (maximum of 20) and each student chooses a personal coach in either Visual, Performing or Media Arts Education. Description: Learn the fundamentals of dance teaching, create exciting curriculum, collaborate with inspiring colleagues, and recharge your inner artist-teacher during this 12-week course. DIDC-A is designed to offer new & veteran educators a comprehensive overview of standards-based dance education and its function across age levels, as well as establishing a conducive environment for dance. Luna’s entry point for all teachers of dance, this first course in our 4-level foundations series offers a grounding overview of dance content, developmental & learning theory, and lesson creation. Classes are on Tuesday evenings from 6-9pm. No class on Tuesday, Nov. 22, 2018. *If this is your first workshop at LDI since July 1, 2018 a $25 Professional Learning user fee will be added to your total. PL user-ship includes one year of Luna library privileges, multiple free consultations, and attendance to monthly Practitioner Exchanges at no cost. For questions or to register, give us a call at 510-883-1118 or email us at PL@lunadanceinstitute.org. Join 300 changemakers for 3 days of dynamic speakers, empowering mini courses, honest conversations, and personal storytelling to move the arts, equity, and creativity from the margins to the core of public education. ILSP participants and alumni receive 25% off general registration. Contact sfalcon@acoe.org for a promo code. Description: What is the difference between exploration & improvisation? 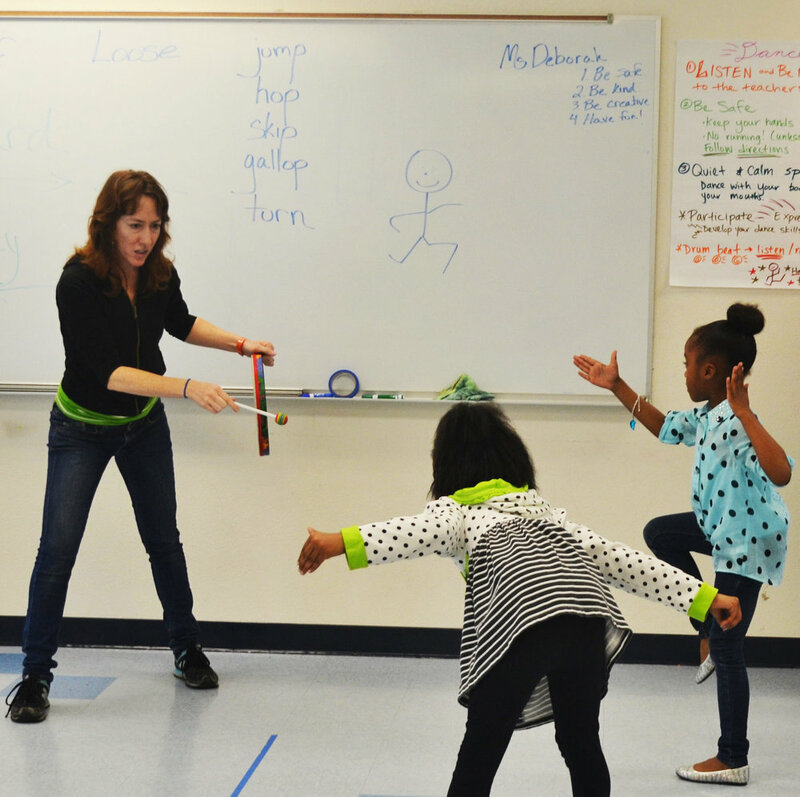 How can I support my students in making meaningful dances & becoming choreographers? I can create activities & lessons,but what about dance units? Find out in Developing & Implementing Dance Curricula-B (DIDC-B), while deepening your understanding of the elements of dance, human development & learning theories, and shaping your own teaching pedagogy. This course investigates the role of the teacher in creating, implementing and sequencing dance curricula aligned with the National Core Arts Standards using backward and forward design and embedded assessment. Participants learn a process for moving students from exploration through improvisation to composition in a manner that allows for maximum exploration, problem posing and solving, and choice making. Indulge in a week-long intensive that will recharge your creativity as an artist & teacher. Description: Are you a dance artist ready to launch into teaching for the first time, or a classroom teacher excited to share the joy of dance with your students? Have you been teaching for a while but desire a refreshing & grounding new perspective? Now in its eighteenth year, Luna Dance's Summer Institute brings together six dance artists and six classroom teachers/practitioners to activate and inspire individual and collective imaginations. Participants will work together to create, expand or improve comprehensive dance education programs. Join us for a lively week of learning this July 13-21, followed by a year of coaching, workshops and collegial support. Applications due April 13, 2018. Description: Whether you are expanding your program to new audiences, writing a grant proposal, creating new policies, or a making an elevator pitch for your arts program & teaching, this workshop will help you practice & build confidence in your advocacy voice. Through hands-on activities, you'll develop exciting and authentic language in multiple media, and develop strong messages to move your arts program forward. Designed for teaching practitioner as change agent. No prerequisite. Follow-up Pracititoner Exchange, Nurturing the Artist-Teacher is on June 12, 4:30-6pm. This workshop is designed for participants to learn the basics of the visual arts and how to integrate the arts into the learning environment. Participants with little or no art experience are encouraged to attend, as well as the experienced art teacher. This workshop will encompass the basic elements of art through hands-on practice, documentation, discussion, and reflection. The lessons are taught in a sequential order that foster art integration into a variety of subject areas and accessibility into arts learning. · Will gain an expanded toolbox of art projects that they can use in their learning spaces using readily accessible and inexpensive art materials. · Develop skills in the visual arts that they can use in their work with children to enhance their student’s creative thinking, communication, literacy skills, and individual expression that develop 21st learning skills and practices. · Learn management techniques for handling art materials in a variety of classroom settings. · Develop arts integration skills that can be used in a variety subject areas and themes. Participants will receive reading materials and all lesson plans which will include information on the elements of art, (line, shape, color, texture, space) how to talk to students about their art, why is art good for children, best practices in arts integration other thought provoking articles in arts education. Cost: 195.00 a person, discounts for school groups over 5 participants. Description: This full-day workshop plunges deeper into creating early childhood and family dance curricula that keeps you, the teaching practitioner, excited and engaged. Application of attachment and play theories, developmental neuro patterns, and embodied parent education will build upon material introduced in Dance in ECE Level 1.We will investigate balancing the spontaneous movement play of early childhood with creative rigor and address issues of the practitioner. You will have the opportunity to expand on ideas you've already tried, and reflect on how to improve dance activities that did not turn out quite as you expected. Build activities into curricular units, and engage parents & families in the learning through play. Combining movement, theory, practice teaching & reflection, this interactive semester-long course will prep you for DIDC-B offered this summer, and cultivates a supportive community of fellow artist educators amongst participants. Taught by nationally-recognized leader in dance education and Luna's Director of Community Engagement, Nancy Ng. 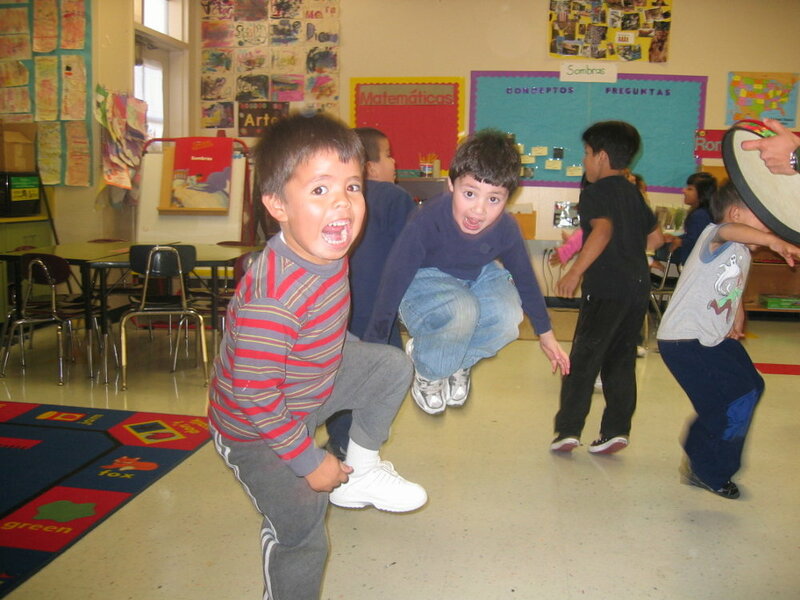 Children discover the world and their relation to it through movement and play. Through this interactive workshop that pairs dance practice with developmental theory, we will explore the use of creative dance and movement in early childhood and family settings. Participants will learn to extend spontaneous dance experiences, facilitate parent-child interactions using dance, integrate dance into emergent curriculum, activate circle time and create stand-alone dance lessons. For teaching artists, classroom teachers, early childhood educators, and those who work with young children. No prerequisite. Reddy Lieb ~ Glass Art and Mixed Media class. In this hands-on workshop educators will be introduced to three effective self-care strategies they can practice at home and in the classroom. Art Making, Mindfulness, and Gratitude for What Is. Teachers will make arts based research journals, learn mindfulness strategies from a soon-to-be published curriculum for K-8, and envision personal and professional goals/dreams. Join us for this restorative and innovative professional development workshop. We recently received a fellowship to lead this work nationally and are also bringing it back to the Bay Area. Please email us to ask questions and to register! Led by Michelle Holdt and Andrew Jordan Nance. Description: Stretch your inclusive dance teaching practices at this 2-part day of inquiry into increasing accessibility in dance & education. What are the benefits of bringing children with developmental differences together for imaginative & creative play? How can we as educators create an environment that is supportive & inclusive for all learners? This workshop introduces the Integrated Play Groups® (IPG) model for guiding children on the autism spectrum to participate with neuro-typical peers in mutually engaging social and imaginary play experiences. Fostering opportunities for socialization and creative expression in the culture of play with peers will be highlighted. Considering that what supports a child with autism supports all children, this workshop is for all educators and teaching artists. Each year Luna brings a panel of artists, educators, researchers & activists together to lead a conversation about disability awareness, inclusion practices, accessibility & equity in dance & education. This year’s panel includes Judith Smith from AXIS Dance, Luna’s Deborah Karp, Eric Kupers of Dandelion Dance Theatre, Pamela Wolfberg, Suzanna Curtis & more. Now in our seventeenth year, Summer Institute 2017 continues our convening of six dance artists and six classroom teachers/practitioners together to activate and inspire individual and collective imaginations. Participants will work together to create, expand or improve comprehensive dance education programs. Join us for a great week of learning this July 14-21st at Mills College followed by a year of coaching and collegial support. Applications due April 14, 2017. Cost: No cost for selected applicants. The Advanced Practicum extends VTS practice with further coaching and exercises focused on improving paraphrasing and linking. Additional attention is paid to image selection to address the needs and interests of various groups as understood by way of Abigail Housen's stages. Participants will be able to conduct VTS discussions with a variety of audiences with confidence. This Advanced Practicum will be led by Robyn Muscardini. 1. You MUST have participated in a VTS Practicum or an introductory VTS Workshop within the past five years. If you attended a Beginner Practicum or other training more than fire years ago, we require you to submit a 5-7 minute video of yourself leading a VTS discussion. Please email Em Miller at emiller@vue.org for details. 2. You must have a minimum of ten hours of VTS teaching to qualify for admission. Dance can be a source of community and the tool to build community. During this Px discuss ways that community can be formed, sustained and developed creatively through the art of dance and movement. Ask questions, receive feedback and connect with peers. Soft-facilitated by Summer Institute Alumni. No prerequisite. Cost: $15-40, Free to PL Users. *Course credit may be applied when taken in conjunction with half-day at LUNA Dance Institute 2017. *Course credit may be applied when taken in conjunction with half-day of LUNA Summer Institute 2017. About Px: Practitioner Exchanges create time and space for peer educators to explore issues of practice. Get inspired! Try out new ideas or perspectives! Ask for help with your challenges. Each month centers on a different topic. This year, Practitioner Exchanges are paired with workshop offerings as an opportunity to integrate and revisit information throughout the year. Practitioner Exchanges are soft facilitated by Summer Institute alumni and veteran dance teachers experienced in the topic addressed. Come to ONE, come to ALL. Join other educators who are using the power of NTC (National Training Center) Project GLAD's (Guided Language Acquisition Design) integrated literacy model to build high levels of language, literacy and cultural proficiency in their classrooms, schools and communities! While the NTC Project GLAD model is designed for English Learners, it is highly effective for all students. Build high levels of academic and social language using many of the strategies featured in the two day workshop. Engage in collaborative and cooperative learning structures. Create a positive classroom culture over four mornings. Use academic language in context and negotiate for meaning in meaningful activities that promote 21st Century skills and directly address components of California's ELA/ELD Framework. **Participants receive the 2nd Edition NTC Project GLAD Learning Guide, released in October, 2015, that incudes comprehensive strategy notes, current research and emphasis on building cultural proficiency along with academic achievement. **Four Academic quarter units available for purchase through CSU East Bay. About National Training Center (NTC): For over 20 years, the National Training Center for NTC Project GLAD, based at the Orange County Department of Education, has supported a network of NTC Project GLAD trainers, schools and districts both nationally and internationally, and continues to insure the model aligns with current research and initiatives. This full-day workshop plunges deeper into creating early childhood and family dance curricula that keeps you, the teaching practitioner, excited and engaged. Application of attachment and play theories, developmental neuro patterns, and embodied parent education will build upon material introduced in Dance in ECE Level 1. This two-day Beginner Practicum focuses on developing VTS facilitation skills through presentation of the basic theoretical tenets of VTS and opportunities to practice with group coaching. This is the first workshop in our training series; those new to VTS or with minimal experience are welcome. Join other educators who are using the power of NTC Project GLAD's (Guided Language Acquisition Design) integrated literacy model to build high levels of language, literacy and cultural proficiency in their classrooms, schools and communities! While the NTC Project GLAD model is designed for English Learners, it is highly effective for all students. In the two day workshop, teachers learn the strategies and research behind the NTC Project GLAD model. About National Training Center: For over 20 years, the National Training Center for NTC Project GLAD, based at the Orange County Department of Education, has supported a network of NTC Project GLAD trainers, schools and districts both nationally and internationally, and continues to insure the model aligns with current research and initiatives. It’s whatever. People say this when they feel they are powerless and must accept a situation. Assata Shakur, however, asserted the more we get used to our oppression, the more we think of it as the normal state of things. Such a phenomena is created by both structural and cultural conditions, as well as one's personal relationship to change and sense making. If this problem can be located at these intersections, so can potential solutions. “It’s NOT Whatever,” allows us to re-imagine a “dangerous” (Ladson Billings, 1999) kind of teacher development that authentically cultivates humanizing, critically conscious, intellectually engaged, and reflective practitioners. Coming from East Oakland, California, Dr. G Reyes is currently a Scholar at Stanford University where he primarily focuses on research and professional development with teachers, school leaders, and districts associated with language practices, program/school design, communities of practice, and performance assessments. As a professional in the field of Education, he has had a variety of experiences in K-12 schooling, Youth Development, teacher development, and teacher preparation. He has been blessed to work with committed and passionate professionals, youth, and families as a university lecturer in teacher education; as a high school principal at a small school in East Oakland; an elementary, middle, and high school teacher; an Executive Director and Program Director of a Youth Development community-based organization that focused on intersecting arts and social justice; a teacher/school leader developer/coach; and a cultural worker/youth development program leader developer/coach. Math in art has been flirted with for a couple of centuries, but the greatest works of all cultures most certainly used these ideas. Geometry had a role in artistic composition—aka spatial relationships in works of art from all cultures. Through many years of investigating the role of intentional geometry used in most every culture and time, certain rules and psychological impact seem constant. There are many areas of geometry which can be taught and applied to demonstrate this, but for this workshop we will concentrate on the use of simple polygons (triangles, squares, pentagons, hexagons, etc) in the composition of tondos, i.e., round paintings, drawings, ceramics, metalwork, etc. It's simple but quite profound and even used today in the designs of coins, bowls, plates, etc. In this workshop we will see examples from many cultures and times, and participants will be provided with instructions for drawing them, involving a compass, straightedge and colored pencils. Michael Schneider teaches this topic to his art students at CCA, and he is generously sharing his enthusiasm with us. Registration includes materials. Are you passionate about your work in education, but sometimes feel overwhelmed? In this hands-on workshop, create a personal and nourishing self-care practice. gratitude, setting intentions and articulating our dreams! Join us! Envision the life you want to be living every day!